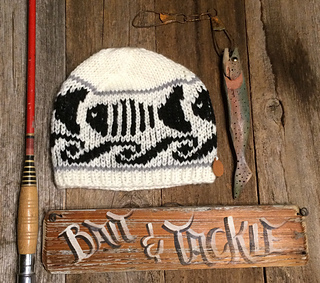 A totally fun color-work hat to knit, wear and/or gift. 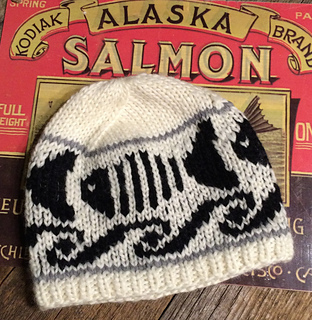 This hat is in tribute to the “reds” (salmon) that I saw swimming in the Kenai River in August. It was the end of their time and my friend told me they were dying. It was still awesome to see them up close and in person, even if they were rotting away as they tried to swim upstream.